This was a talk heavy episode of Pinocchio, one that raises the stakes yet again for the price to pay to do the right thing. I’m not sure the drama will bring in new viewers this late in the game, especially for an episode so dense with moral discourse, but for those watching since the beginning this is the stuff of dense deliciousness. Our intrepid reporters Ha Myung and In Ha are both asked to balance their moral outrage against their personal situation. Would In Ha throw her reporter career away to out a major wrongdoing? Does Ha Myung place a 14 year tragedy above the future happiness of In Ha? Those are such great questions the drama is asking, and how the characters act continue to elicit major thumbs up from me. Cha Ok is a steady antagonist in this drama, not because she’s all that evil, mostly because she is callous in accepting responsibility. I can understand her conundrum and even acknowledge that people can make wrong decisions, what chafes is her cavalier attitude about it over the years. Once it was clear that doing the bidding of Bum Jo’s mom snowballed into a major catastrophe for one family, she ought to have stopped them. Not doing so is my biggest gripe with her. Bum Jo’s mom is basically a lost cause and it’s nice to have a fully black villain to loathe, even if poor Bum Jo with his shower of pain for having such a mom makes me want to give him a hug. In Ha marches to confront her mother with the recovered text messages that prove she carried out the orders of Bum Jo’s mom to purposely smear Ha Myung’s dad. Bum Jo does the same, calling his mom to find out where she is. I’m so impressed with how emotionally strong they are rather than falling apart over this. In Ha angrily demands the truth from her mom, whether she really did what the text messages prove? If so how can she call herself a reporter! Bum Jo shows his mom the text messages and begs her to tell him that it’s all not true and she’s not such a terrible person. Mom is more interested in who else knows this and that’s proof enough for Bum Jo that his mom awful to the core. Mom will only talk to Bum Jo if he’s not a reporter so Bum Jo calls his boss right then and there to quit his job before sitting back down to order Mom to talk! Mom admits that she sent those text messages, back then the congressman who helped her was in a bind over the factory explosion so she did a little favor for him to help out. She didn’t know it would turn out like it did, she was just helping someone who helped her before. Her cavalier attitude seriously disgusts me. Mom isn’t sorry at all since she worked hard to build up her enterprise and needed to do certain things to keep it strong. Bum Jo brings up how the world will view Mom if this were revealed but she’s not cowed in the least. The statute of limitations has passed on her wrongdoing and some public scorn isn’t going to break her. Bum Jo wants to know what Mom got in return for helping the congressman and hears that it’s everything Bum Jo has enjoyed until now, and everything he will be inheriting in the future. Back at MSC, In Ha wanted to believe her mom just made a mistake but the truth is even more terrifying. She’s here with hard evidence to confront her mom like she asked before she turns the two moms in to the world. Cha Ok flashes back to years ago when she was young and idealistic, she confronted her MSC boss with evidence that he was taking orders from Bum Jo’s mom. It was wrong and she was ready to expose it to the public through YGN. Her boss warns Cha Ok that if she does so then her reporter career is over. In the present, Cha Ok tells In Ha that her plan to have rival YGN report it will only make her a whistleblower that no other news network will ever hire. Her reporter career is effectively over anywhere. Back then Cha Ok also faced the same dilemma and her boss offered Cha Ok a straight climb to the top if she kept quiet about the collusion and wrongdoing. Cha Ok tells In Ha to choose now, whether she will keep quiet or face a career doing part time jobs. Does In Ha want to stay a reporter or lose the chance to ever have any power to fight for the truth. Cha Ok claims her warning to In Ha is as her mother and not as her boss, she knows the full consequences of what happens to whistleblowers. The same happened to In Ha’s dad who was once a promising bank employee until he blew the whistle on internal wrongdoing and never worked at a company again. In Ha insists she won’t make the same wrong decisions as her mom and storms out of the meeting. In Ha’s dad is still upset that Ha Myung moved on so quickly from his In Ha and calls the boy over to meet with him. He’s snarky with Ha Myung and immediately asks if In Ha knows Ha Myung has another girlfriend? Dad saw a girl’s long hair in Ha Myung’s apartment and chews him out for being so quick to move on from liking In Ha for so long. Ha Myung reveals the hair belongs to In Ha since she was at his apartment that day. Dad is so happy until he realizes the implications, that his precious daughter was at the apartment of a single young man. In Ha’s dad gets even more upset as he thinks about it which is when In Ha comes home to talk with him. She takes in his slovenly appearance from not being a professional anymore and decides not to bring it up. In Ha brings the evidence to her two bosses and both are incensed with the wrongdoing at a news network and vow to reveal the truth to the world. 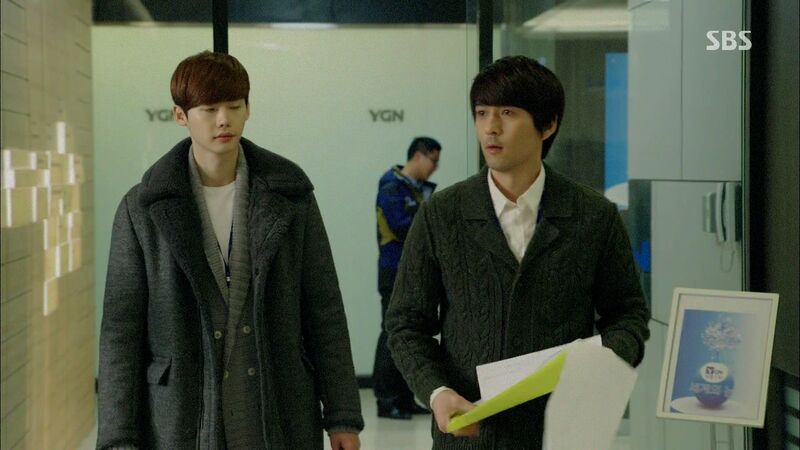 In Ha clarifies that the texts are between Cha Ok and Bum Jo’s mom so the wrongdoing is their own network MSC. Her bosses immediately sit back down deflated, no longer willing to expose the truth and become a whistleblower who ruins their own career. Reporter Kim has a wife and kids overseas he needs to support and Reporter Lee is still renting an apartment and has no financial security. Neither are willing to destroy their lives over this. Reporter Lee asks In Ha if she’s willing to end her reporter career over this and she says yes only to hiccup. Bum Jo takes a shower of emotional pain thinking back to what his mom said, that all her wrongdoing brought him the lifestyle that he’s cluelessly been enjoying. Cha Ok flashes back to her meeting with the YGN team years ago to hand over the evidence, but at the last minute she changes her mind and doesn’t go through with it. In Ha takes the evidence over to YGN to hand over to Ha Myung. He meets her down in the lobby and she immediately breaks into a comforted smile upon seeing him. She walks into his arms for an embrace witnessed by Ha Myung’s YGN bosses who cackle over the enemy reporters romancing each other so publicly. In Ha sits down with Ha Myung at a coffee shop before handing over the file and explaining that she’s giving him a huge exclusive news. Ha Myung hears that the document contains the text messages between In Ha’s mom and Bum Jo’s mom. Once he reads it his entire demeanor changes and grows increasingly distressed. Ha Myung can’t stop his angry tears from falling at the realization that his family was purposely destroyed. Ha Myung cries over how his father was turned into a bad person because of a few text messages just like that. He takes a drink of water before angrily slamming the glass down on the table and cutting his hand when it shatters. In Ha worriedly tends to Ha Myung’s injured hand and bandages it up. 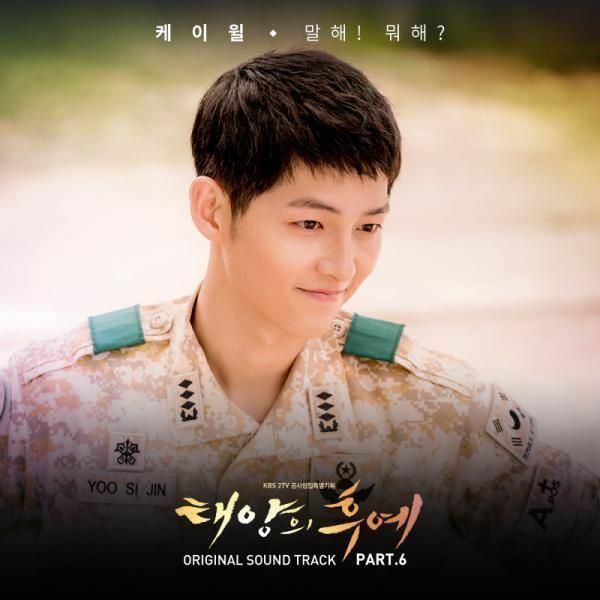 Ha Myung hears that Bum Jo already knows and is likely just as devastated by the truth. He asks how In Ha is holding up and she admits it’s hard especially since her network can’t be relied on to report the truth on this matter. In Ha has already confronted her mom who admitted everything but still won’t report it. Ha Myung thanks In Ha for giving this evidence to him but doesn’t look happy about it. In Ha packs up all her belongings from the reporter’s lounge at the police station and runs into Bum Jo as she’s leaving. She wants to know if Bum Jo confronted his mom about the text messages but Bum Jo is cool towards her. His advice is that nothing In Ha or Ha Myung does with the evidence will affect his mom so they might as well just let things be. He’s also going back to his rightful place as well. Ha Myung pays a visit to hyung to show him the text messages and poor hyung is devastated all over again learn the truth behind their family tragedy. Ha Myung hands the evidence over to PD Hwang and the poor man processes the shocking truth by gulping down a drink Yoo Rae is holding in her hand. He then snaps into action and calls his team together to prepare this exclusive report and hands out various assignments. In Ha goes back to MSC and is told that she’s been made a permanent employee which everyone knows is just to keep her quiet about whistleblowing. In Ha instead hands over her resignation letter and quits her job. Cha Ok chases after the departing In Ha and drags her aside to a conference room to ask if she’s dead set on whistleblowing? In Ha is determined and has already handed over the evidence to YGN. The reason she’s so insistent in doing this is to get her mom to apologize. In Ha needs her mom to do the right thing because she still wants her as a mom rather than as a stranger. Ha Myung heads out with Reporter Im to ambush Bum Jo’s mom with an interview. Reporter Im hands Ha Myung a pair of glasses with a hidden camera in it to secretly capture the encounter. Ha Myung puts it on before the YGN team heads out. He texts In Ha to let her know that he’s off to interview Bum Jo’s mom and In Ha replies for him to dig out the truth and not give up. In Ha goes home with her suitcase and Dad is surprised to see her home during work hours. In Ha puts on a brave face and explains she quit her job to do the right thing like her dad did. She wonders if her dad has no regrets over doing the right thing in the past and losing his job over it. In Ha starts to cry and hugs her dad for comfort while asking him to tell her that she did well. Dad lets In Ha cry in his arms and compliments her for doing well. 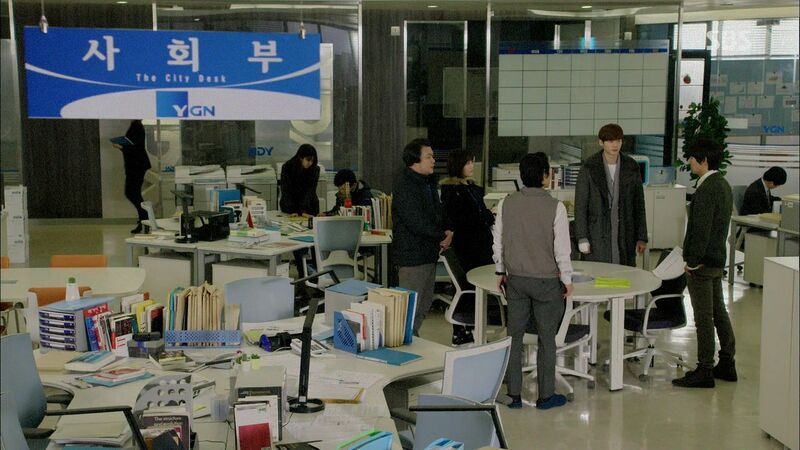 Ha Myung waylays Bum Jo’s mom as she leaves her office with Bum Jo trailing her. Mom immediately puts on a fake happy face to see Bum Jo’s reporter friend Ki Ha Myung and agrees to talk to him. Ha Myung brings up the text messages in the past between the two moms and even reads some of the messages verbatim while asking if Bum Jo’s mom remembers sending it? Bum Jo’s mom claims it was so long ago she doesn’t remember sending it. Ha Myung trips her up by pointing out he didn’t says when those text messages were exchanged? How does Bum Jo’s mom know it was sent a long time ago? Fourteen years ago, to be exact. Bum Jo’s mom’s face immediately hardens and she gets into the car to end the interview. Bum Jo’s mom immediately texts Cha Ok to meet. In Ha is moping in bed and refuses to go outside for dinner. She gets a text from Ha Myung confirming he managed to get Bum Jo’s mom to admit she sent those text messages. Ha Myung is reading In Ha’s encouraging reply when the Chief walks past cackling some more about Ha Myung’s relationship with the girl he was hugging early. In Ha finally can’t stand it anymore as her stomach is growling so she goes out to dinner. She reveals her plans to get a taxi license and attend English classes to find alternative career choices. She aegyos Grandpa to pay for the tuition and he’s more than willing to do so, complimenting In Ha on doing the right thing which makes the family so proud of her. In Ha ropes Ji Hee in as her passenger in driving lessons and goes to attend English classes. Ha Myung continues to dig into the investigation by interviewing politicians but gets stonewalled. 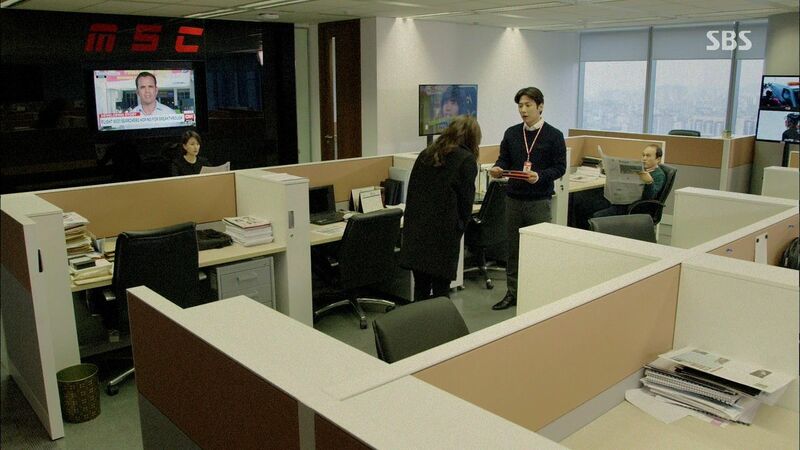 Reporter Kim sighs over In Ha’s resignation letter in the reporter lounge and PD Hwang hears that In Ha quit her job at MSC but the resignation letter hasn’t been processed yet. He goes back to YGN and calls Ha Myung out of a meeting where Yoo Rae is proudly presenting her hard work on the investigation. PD Hwang asks if Ha Myung got the evidence from In Ha, and whether he’s certain he wants to report on the news? If he does so then what will happen to In Ha at MSC? He reveals In Ha submitted a resignation letter to MSC because her whistleblowing will end up ruining her reporter career anyways. 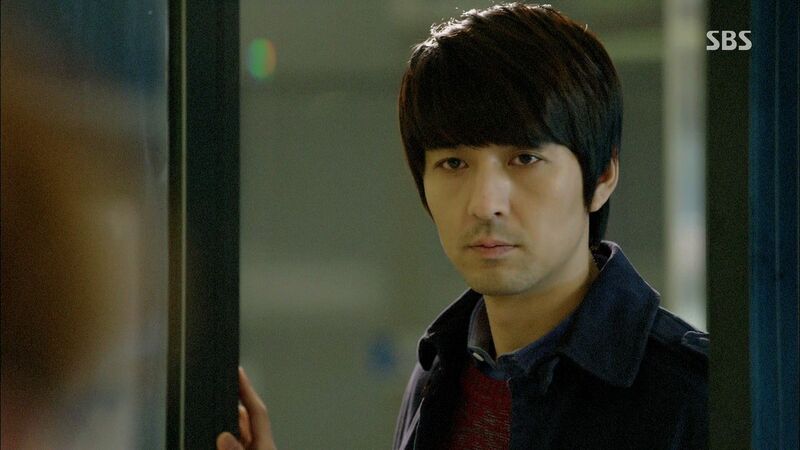 PD Hwang knows this case matters a lot to Ha Myung and he wants to get closure by revealing the truth. But Ha Myung shouldn’t believe this is something he is obligated to do. Yoo Rae is still smarting over PD Hwang ignoring her hard work earlier when he walks by and hands her a drink to replace the one he gulped down earlier. Yoo Rae wonders if her boss is trying to be nice to her because he likes her? Her colleague shows Yoo Rae the same beverage he also received and tells Yoo Rae to stop being so self-absorbed. We then see PD Hwang sneaking a glance over at Yoo Rae, heh. In Ha is hanging out with Chan Soo and Ji Hee at the police station when Ha Myung angrily storms in and drags In Ha out to talk. Ha Myung immediately brings up In Ha quitting her job without telling him. She claims to be fine and is now learning to drive and attending English classes and starting tomorrow she’ll send out resumes. Ha Myung wants her to go back to MSC tomorrow as her resignation letter hasn’t been processed yet. In Ha refuses but Ha Myung won’t report on a wrongdoing from 14 years ago at the cost of In Ha ending her reporter career. In Ha doesn’t want Ha Myung to withhold the report when his family suffered so much because of it. Ha Myung turns the tables and asks if In Ha would accept those texts and report it if Ha Myung ruined his future over it? In Ha claims she would report on it and then hiccups because she also can’t do it. In Ha cries and asks Ha Myung if he’s just going to pretend the truth isn’t out there? Ha Myung won’t brush this under the rug but he’ll find another way so In Ha needs to go back to work now. In Ha cries over the injustice of having the wrongdoing get a pass yet again. The couple return to their trusty udon restaurant for a warming bowl of noodles. In Ha reveals that her mom was introduced to Bum Jo’s mom and slowly her career rose through the ranks because she did her dirty work. In Ha doesn’t want to rise through the ranks the way her mother did. She shares how her dad ended his career at a bank because he exposed internal wrongdoing. Even though he suffered as colleagues ostracized him and quit his job, he did the right thing and that’s the type of person In Ha wants to be. He ended up not getting hired at any other company and that’s what led to his wife divorcing him. Bum Jo’s mom calls Cha Ok out to walk an art exhibit with her and Bum Jo. We see him holding his cell phone in hand though he appears to be dutiful to whatever she says. Bum Jo’s mom snaps up paintings and sighs over having to do whatever politicians ask of her. She doesn’t like bad news to come out about her over this, such as a few days ago Ki Ha Myung came by insisting to interview her over what happened 14 years ago. That young man doesn’t appear to be open to bribes, but the same isn’t true of Cha Ok’s daughter In Ha. Bum Jo’s mom wants Cha Ok to bring In Ha to see her so that she can offer the same help to In Ha that she gave Cha Ok 14 years ago. In Ha helps her dad fold laundry in the morning and asks if he regretted being the whistleblower back then? He knew he had to do it otherwise he would explode keeping the secret. But he does have regrets since he couldn’t get a job afterwards, but what he really regrets is quitting back then rather than enduring the cold treatment at work. He wants In Ha to endure through this now and she takes his advice to heart, going back inside to get dressed before leaving for work at MSC. Ha Myung reads the text messages and remembers In Ha saying that her mom considered being a whistleblower 14 years ago but changed her mind. He heads over to MSC and runs into In Ha as she’s returning to work. They give each other forehead kisses as happy encouragement before Ha Myung walks into MSC with In Ha. Ha Myung asks Cha Ok to talk privately and hands over the cell phone and text messages back to her. He wants Cha Ok to do the right thing and report on it herself rather than have In Ha become a whistleblower to reveal the truth. He wants to reveal the wrongdoing himself but he can’t ruin a person’s life to achieve that satisfaction. 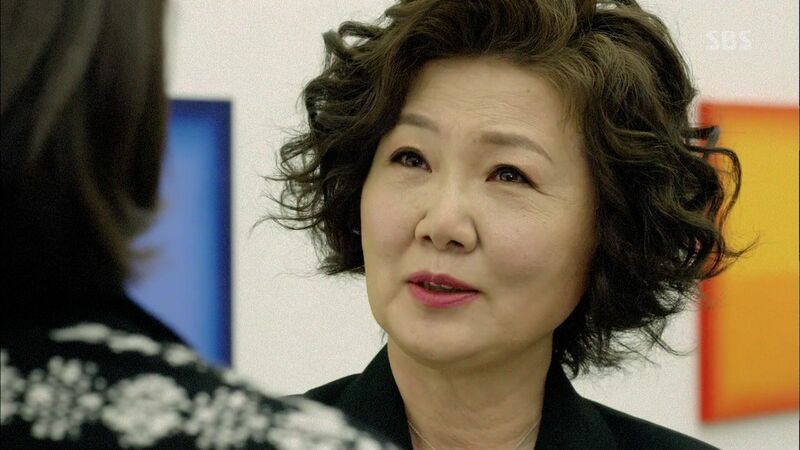 Ha Myung knows Cha Ok considered whistleblowing 14 years ago but didn’t follow through and instead accepted Bum Jo’s mom’s bribe and ended up ruining Ha Myung’s family. He wants Cha Ok to do the right thing now. She scoffs at Ha Myung’s idealism in thinking she would do as he asks. Ha Myung knows this is a long shot bet but knowing Cha Ok considered doing the right thing years ago then he is certain she must’ve regretted the choice she ended up making. Cha Ok calls Ha Myung and In Ha clueless before walking away. As Cha Ok walks away she keeps remembering all the times in the past that Ha Myung and In Ha confronted her about doing the right thing. Cha Ok starts to break down, crying that Ha Myung and In Ha are forcing her to fall apart over this, to acknowledge how small she is before them. This episode felt a bit like an ethics class case study, didn’t it? A bevy of “what would YOU do?” decision making trees popping up in front of many characters, all of whom have their own considerations and priorities. For the three leads, I’m reassured of their professional maturity and emotional strength when I see them working through such difficult choices and acting in ways I can respect. Bum Jo is clearly not crossed over to the dark side and is biding his time to take mommy down by being an undercover reporter. I think he’s got the same feeling towards his mom that In Ha has towards Cha Ok, at the end of the day it’s still mom and one has to reconcile that with mommy’s bad actions. It’s easier to just cut mom out but who can do that so easily to a loved one who committed a transgression? Is Bum Jo’s mom and Cha Ok’s misconduct any worse or better than Jae Myung murdering three people he held partially responsible for his family tragedy? Of course not, and if Ha Myung can reconcile turning hyung in while still loving hyung, then In Ha and Bum Jo have already reached that point. I was proud of the evolution of the whistleblower issue through this episode, from In Ha’s righteous fury all the way to Ha Myung deciding NOT to prioritize a 14 year transgression at the cost of In Ha’s career. There were easy parallels to In Ha’s parents facing the same hard choices years ago, but the reveal worked because it better explains how In Ha’s dad moved back to the island and why the couple divorced back then. It shows the writing had mapped back this backstory of the parents already and is now sharing it with the audience, and the kids generation, at a time when it add value to the storytelling. In Ha remains such an upstanding heroine, it almost doesn’t matter that she always does the right thing because of her Pinocchio syndrome. Others can live a lie, perhaps forever or just temporarily, even Ha Myung initially tried to cover up hyung’s crimes, but In Ha doesn’t have that luxury yet she accepts the burden of being true to herself. If she was lacking in morals and ethics then perhaps her Pinocchio syndrome wouldn’t be such a burden, because she’s a good person we see how much her mom’s past misconduct hurts even more. For someone who can’t get away with doing something wrong, it’s doubly painful that she carries the mark of her mom continuously doing something hurtful to the man In Ha loves. 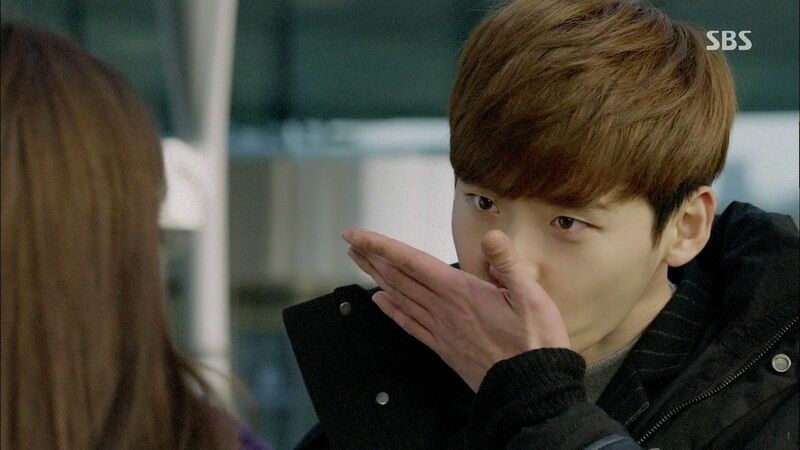 Thank the drama gods the OTP keep on rolling in their mutual understanding and love for each other. Even with the reveal that In Ha’s mom intentionally destroyed Ha Myung’s family, it doesn’t create a second round of noble idiocy between them. 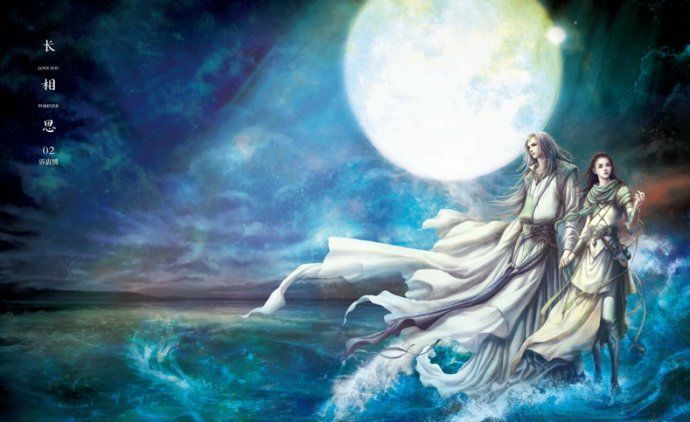 Both are resolved to love and support each other as is and more obstacles are merely an additional mountain to climb. In Ha’s dad is adorable in his fury over Ha Myung moving on so quickly from In Ha, makes me miss those hilarious convos when he was trying to keep the two youngsters apart but really couldn’t stop loving them both as his own kids. I wished Grandpa also know the kids were in love and dating, he would be so thrilled and probably start planning their wedding and getting a room ready as the newlywed room in order to get his Dal Po to move back home. The drama wraps up next week with three episodes, two on Wed and the finale on Thurs, a conclusion that feels bittersweet right now as I look back at how satisfying this drama has been from episode 1 all the way to this point. Nary of moment of wasted narrative or frustrating plotting, I adore the characters and enjoyed the thematic storyboard of news reporting and its impact on society. 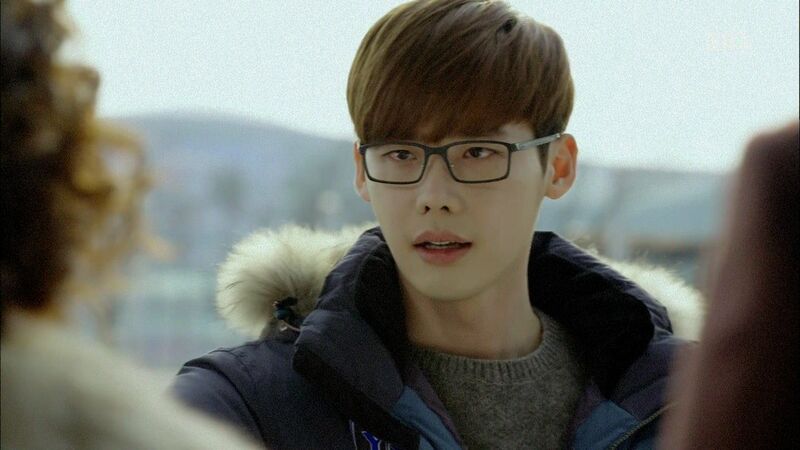 Not many dramas manage to follow through with its creative purpose without floundering, Pinocchio is so close to achieving that goal. And true true true to your thought this drama is one drama that close to achieve it’s creative purpose, not like several dramas that being swayed in the middle and then bam back to the roots, thats what I like about pinocchio, the point is not the romance but the journalist, the true or wrong, that basic human behavior, wrap with beautiful family warm, little tragedy, and sweet romance.. Thank you for the fast recap! Yes, for some this would probably be a boring episode since its mostly talking and just takes its time dealing with the moral issues. But im really happy to hear you appreciate pinocchio. Its certainly not a prefect drama there are flaws like how yoo rae’s character is so underdevelop, and the tension was lagging ever since hyungs arc ended, also i would have loved for more sweeter moments between out leads and i understand why most people are dissapointed especially in comparison to the IHYV. But despite all that pinocchio is big on life lessons. Love everything about this episode… This is one great written drama and will forever in my heart. Thanks ockoala. You were in dramabeans, right? Thank you Koala for the recaps. Love your comments as always! i was a bit frustrated with this episode though. it is ridiculous that turning in a piece of evidence would so completely destroy a reporter’s life. one would have thought that the reporter who reports a wrongdoing would be applauded for it. esp in this case where deaths were involved. it feels contrived this dilemma. other than that, the story is pretty watchable. 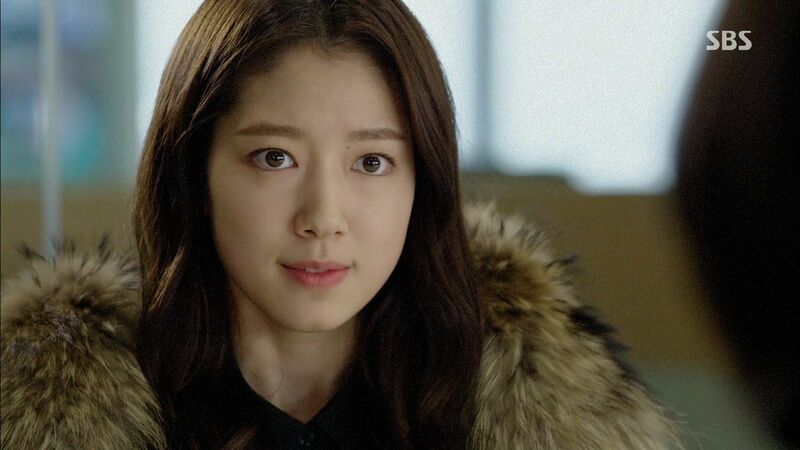 i finally can bear park shin hye in a drama! a first for me. Try reading up on what happens to whistleblowers. They are officially blacklisted. 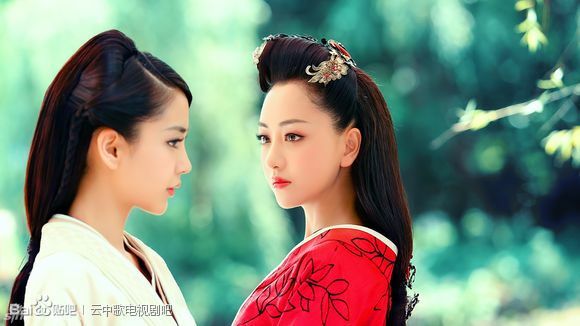 This drama is really good. Kudos to the writer,cast and crew. But they committed crimes. Wouldn’t it be against the law too if one has evidence to prove wrongdoing and one didn’t reveal it? This is a reply to Enz (below). Yes but nobody actually reported that there’s evidence. I think it bears a since of realism though. Yes, its true people will applaud you for your bravery but not everyone thinks that way especially when your outing the flaws of your own company.Now when it comes to seeking new jobs, its like you have been marked already as one who betrayed your own company no matter what the cause. So its natural for other companies to think that what you did to your previous company you also did to them. For example in most job interviews it a known fact that you should never speak ill of your company because if you can speak ill of that company then you probably do the same to them. No company wants a employee whose like a loose canon who would turn their backs on backs. Its basic work ethics. But what i mean is no company would want an employee they cant control. No employer in their right mind would hire a loose canon who can practically turn their backs on them at any moment. In ha is basically backstabbing her company even if her cause is good. So just from that it could tarnish your reputation because company gives evaluation to workers and no company would hire you. It’s about time they explained the reason behind the parents’ divorce! 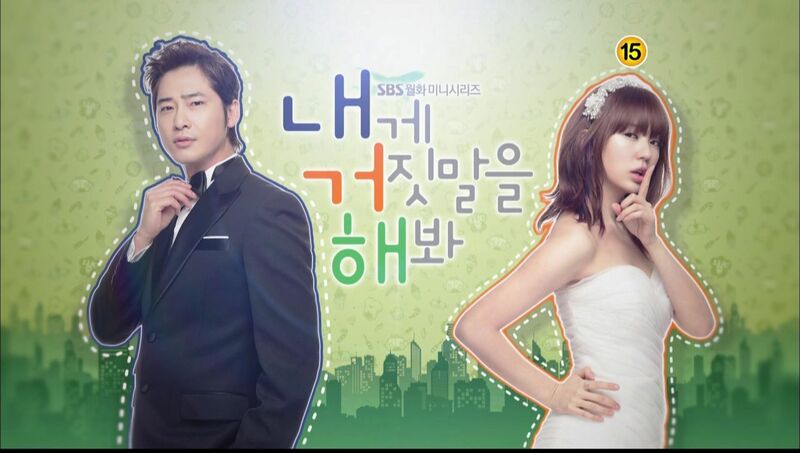 This drama does a great job at tying lose ends so it gives me confidence that we’ll get closure in the finale. (NOOOOO) I just hate that they’re trying to redeem Cha Ok’s character. It’s already episode 17. Redemption should’ve occurred a long arsh time ago. I dont really think it will be the kind of redemption with her grovelling to in ha and in ha forgiving and forgetting all she has done. I actually think its just more on the line of acknowledging her mistake, being responsible for it and apologozing from the heart and then that it.Just to show us that cha ok still has humane qualities in her. I *HATED* the handling of the whistleblower storyline. Absolutely HATED it. Every society NEEDS whistleblowers, people who are prepared to pay the price to expose the truth. Everything the Drama said about the fate of whistleblowers was totally correct of course, but that’s why I was so annoyed that the show celebrated cowardice and pragmatism over courage and self-sacrifice. Because this is a Drama, our hero may well “find another way”, but the message the entire episode sent to those who might be in a position to be whistleblowers was crystal clear: “DON’T. Don’t do it, it ain’t worth it. Just don’t” And that is a truly contemptible message to send. I really dont think it was that way though. Its not that the show is encouraging cowardice by being scared of revealing anything.The whistleblowing thing is used to show how much dal po and in ha are willing to sacrifice for each other. 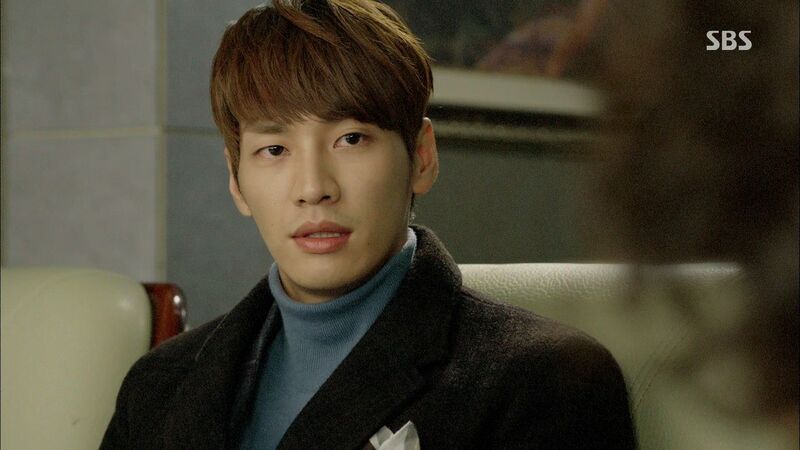 Would dal po be willing to sacrifice in ha’s future just to satisfy his revenge? 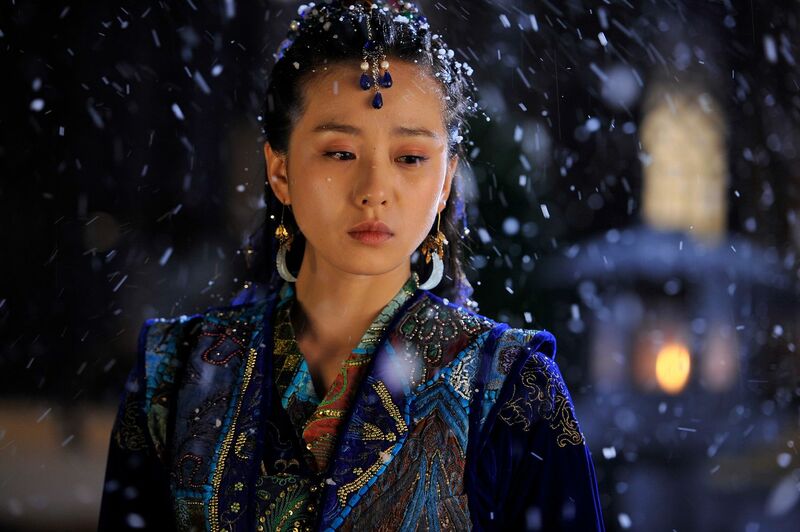 Would in ha be willing to give up her dream for dal po? Its shows how much consideration and care they have for each other that they are willing to find a middle ground instead of sacrificing the other. Its about them being in this together and finding a way hand in hand. I also think it would be unfair if in ha would be the one to suffer no matter how much she feels guilty about what her mother did. It’s more than revenge. Something happened which caused the death of many, not once but twice! And there was a cover up! I can’t imagine that she would not be able to get reporting job elsewhere for her bravery esp when it is even against her own mom!, I don’t get it. True the bravery should be commended. But in reality its not like that. That is why being a whistleblower is never easy because no matter how good your intentions are there are always those who will go against you and have doubts and say something bad. Companies value the loyalty of their employees. This episode was so aptly the scarlet letter. True once you become a whistblower there gonna me that mark on you that could never be erased.